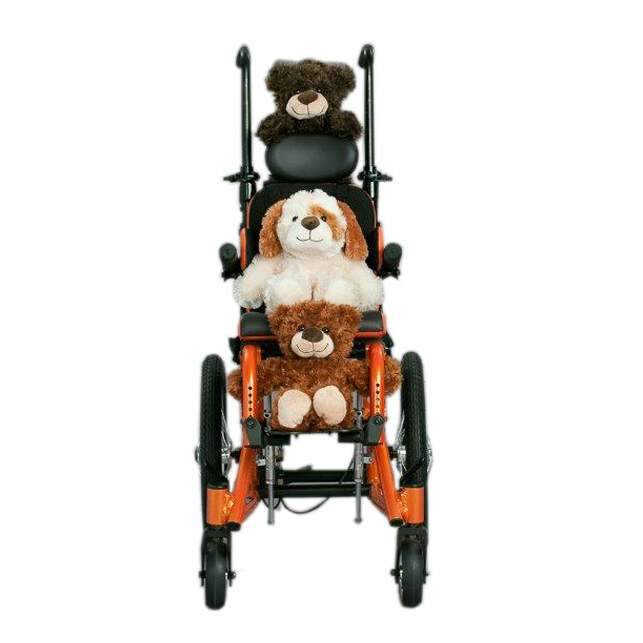 Freedom Designs NXT mini tilt wheelchair is built to accommodate developing infants and toddlers in need of tilt-in-space mobility and appropriate customized adaptive seating. 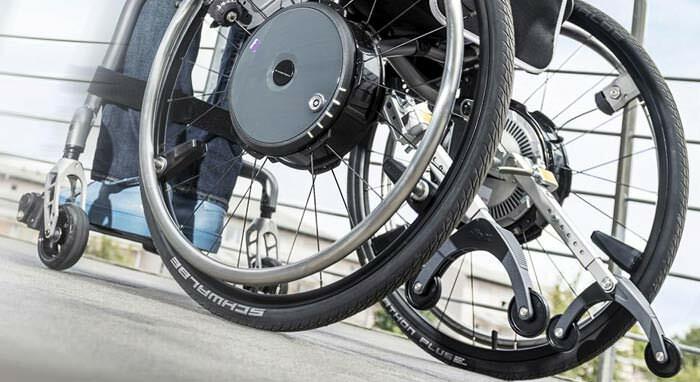 NXT mini is a light weight wheelchair of 22 lbs. includes footrest supports and anti-tippers. NXT mini wheelchair is designed especially for infants and toddlers with disabilities who are ready to “lift off!”. NXT mini tilt wheelchair is packed with features to make using a wheelchair safe and simple, new flip back armrest is only 8.5" long to support little arms and have smaller foot plates for supporting little feet. NXT Mini wheelchair offers an attendant hand controlled combination tilt and braking system, which is designed to control speed on uneven surfaces. A curb assist anti-tipper is also provided to ease navigation over small obstacles. 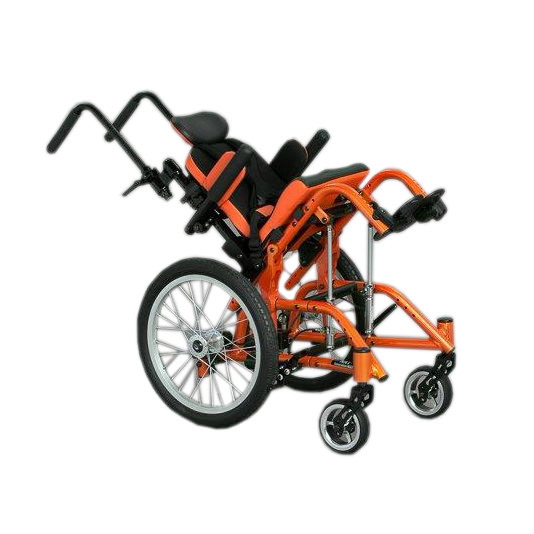 NXT mini tilt in space wheelchair is available in both folding and rigid version. 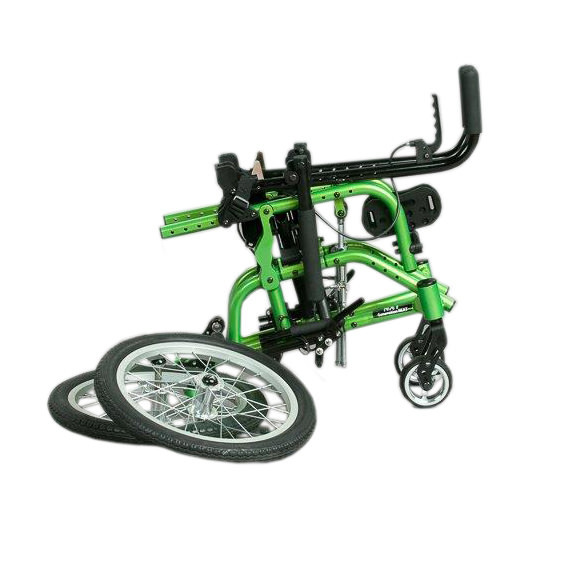 The “foldable” lightweight wheelchair frame folds down flat for easy fit in small spaces, making it easy to lift and stow. 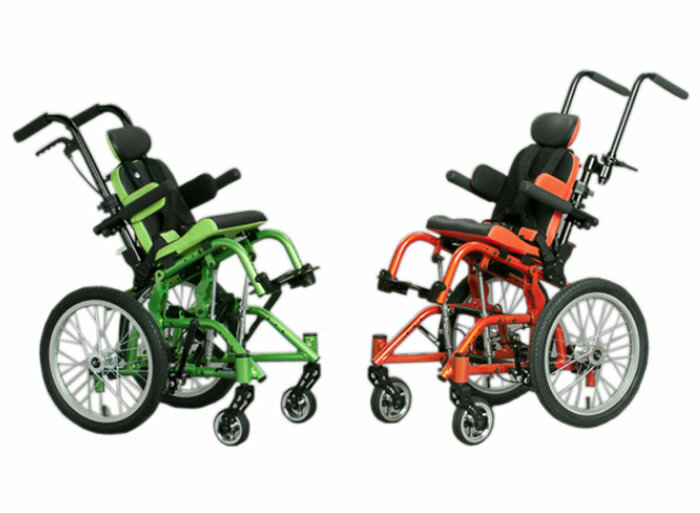 NXT mini tilt wheelchair speaks to style and personality and is available in 21 colors with matching upholstery. Mini chair is designed to grow in width and depth, with many of the adjustments in only ½” increments. 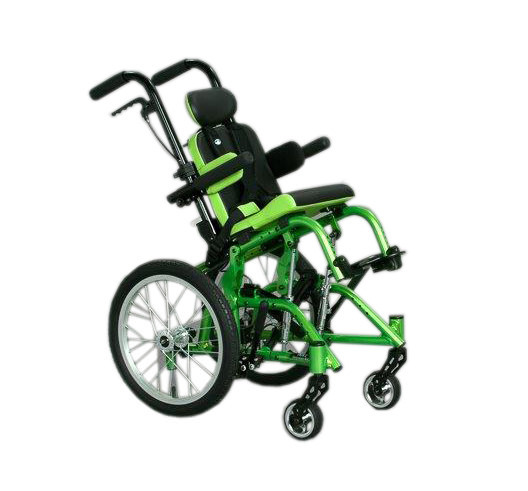 Seat frame width 10" - 11" - 12"
Seat frame depth 8"- 9"- 10"- 11"- 12"- 13"- 14"
Freedom seating depth 6" through 12"
Seat to floor height 15" to 19"
**Consult order form for all NXT Mini options and accessories.